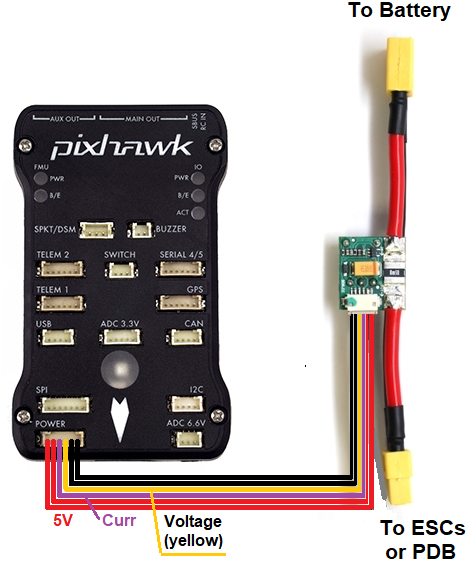 Many flight controllers can be purchased with an analog power module that provides a stable power supply to the flight controller and also supports measuring the battery voltage and current consumption. The battery is connected to the power module’s male connector. The ESC or Power Distribution Board should be connected to the power module’s female connector. 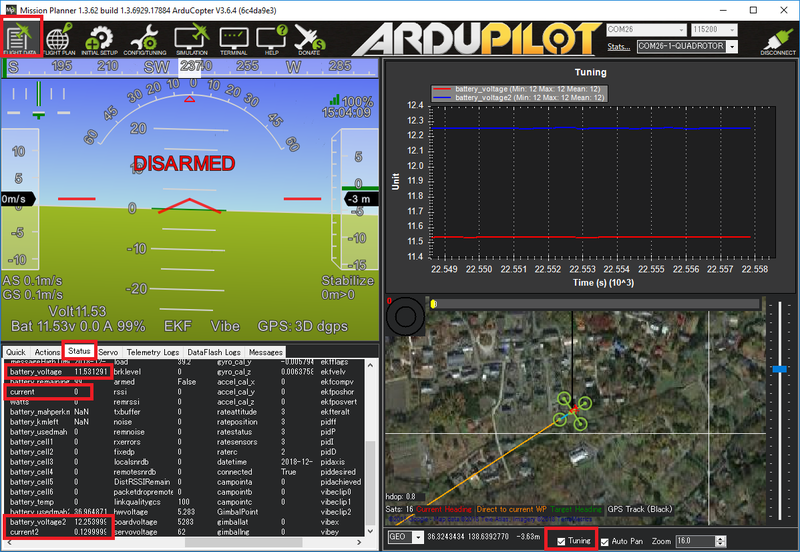 If the flight controller has additional analog-to-digital pins available, a second battery can be monitored by setting up the BATT2_ parameters. The values below allow reading a second battery’s voltage and current using The Cube’s POWER2 port.